For startups, small offices, and even large companies that don’t have receptionists, visitor management systems simplify visitor processing while providing an enhanced level of safety and security. On top of all that, they are enormously friendly to your bottom line. 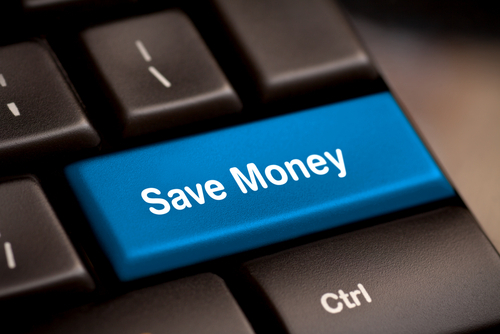 Here are five ways visitor management systems save you money. According to Glassdoor, the average salary for a receptionist in the United States is $32,000, not counting payroll taxes, benefits, and such. If you are just starting out, you might not be able to afford a receptionist, and unless you get a large number of visitors and phone calls, you might not need one. The iPad Receptionist starts at $49 per month, just a fraction of the roughly $3000 per month a receptionist costs. If you think this isn’t a problem in your office, go talk to the person who sits closest to the door. They are probably suffering from the dreaded Person Nearest the Door (PND) syndrome. Even if that person is interrupted only once a day, it could have huge consequences for their productivity. Research has shown that it takes about 25 minutes to get back into a task after being interrupted, which means that a once-a-day interruption translates into about 2.5 hours of lost productivity each week. To make things worse, people who are interrupted perform about 20% worse than those who aren’t interrupted, so eliminating those interruptions can instantly boost your employees’ quality of work. 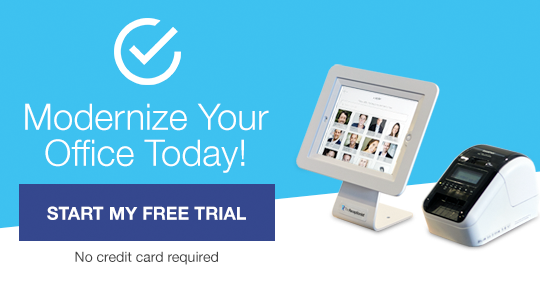 With a visitor management system, you can instantly print customer visitor badges with names and photos. In addition, you have a visitor log so you always know who was in your office. This immediately improves your security and helps protect you against theft and other costly risks. What’s the best way to ensure that highly important package will arrive? Step out for coffee. And when is the only time your appointment arrives early? When you are running late. With a visitor management system, you can forward the delivery notification to someone else while you grab your coffee. And, if your appointment arrives and you aren’t there yet, you can respond to the notification by email or text to let them know you’re on your way. Finally, visitor management systems eliminate visitor sign in sheets and logbooks, which cost money in supplies, and also in the time it takes to update and archive them, not to mention searching through the records. Surely you have better ways to spend your time! Besides, paper visitor logs are potentially an invasion of privacy, for both your visitors and your employees. By going digital, you save search time and respect people’s privacy. Check out our Pricing page to see how much you can save!